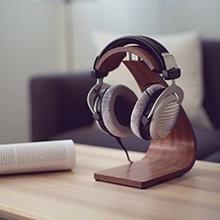 The cult object - tried and praised by music lovers. 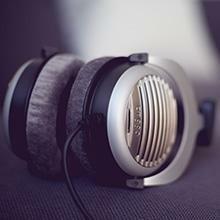 The DT 990 Premium Edition is a headset that countless hi-fi and music lovers since the 1980s in the heart have closed. For many years he convinces with his lively and natural sound, which is suitable for many styles of music. 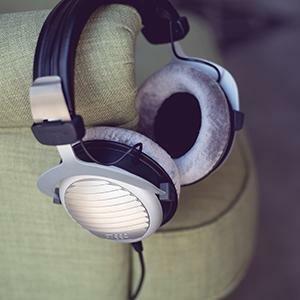 He has been part of the beyerdynamic portfolio for over 20 years and continues to enjoy great popularity. All components are available as replacement parts, making the DT 990 Edition a long-time companion. The DT 990 Premium Edition is an open headphone. In other words, background noises outside the headphones remain clearly noticeable even at higher volumes. This design gives the music a broad stage, a sense of space that comes close to listening to music with speakers. 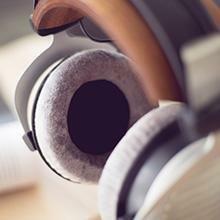 The sound is spectacular: pronounced highs and intense bass pair up to a full sonority. This is especially appreciated by rock and pop friends. The supple headband and velvety-soft ear cushions ensure excellent wearing comfort. The ear cushions are known for their breathable and skin-friendly velour, so that even after prolonged enjoyment of music there is no excessive development of heat. The combination of a comfortable headband and ear pads as well as the aluminum forks give the headphones a stable appearance and a comfortable fit for long listening sessions. 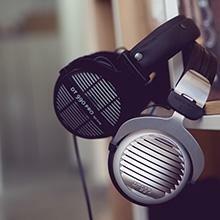 The DT 990 Premium Edition headphones for the home and the DT 990 PRO for the studio: Sonically, both are identical. The identical sound transducers are used. However, the edition models have a slightly softer handle for enjoying music at home while the Pro listeners sit a bit more taut on the head to stay there even with faster movements in the studio everyday. Also, the PRO version comes with a coiled cable and the Edition version comes with a straight cable. The DT 990 Premium Edition with 250 ohms was developed for use at home on the stereo. The version with 600 ohms is suitable for hi-fi systems with particularly powerful headphone outputs or for use with special headphone amplifiers. For versatile use, also on mobile devices (tablets or smartphones), the version with 32 ohms is recommended.